Now, let’s talk about your five options for dealing with intra-pack aggression. Every day when I go to the dog park, I see dogs of all different breeds, ages, and genders playing happily with one another. I also see the occasional fight, but oddly enough, it’s hardly ever between dogs that have just met. Usually, it’s between two (or more) dogs that belong to the same person. Maybe they’re over-excited, or maybe they had unresolved issues before they got to the park. Whatever the case, I can tell you that it’s a pretty scary thing watching a distraught owner trying to pull one dog off another. A few times, I’ve waded into help, using the techniques I talked about in Breaking Up a Dog Fight. So, what causes aggression among pack members, and how do you deal with it? If you know what causes conflict amongst dogs, and you’re able to identify the triggers, you may be able to head it off at the pass. So first, we’ll talk about why dogs don’t always get along, and then we’ll discuss what to do about it. The short answer to this question is that it’s almost invariably stress of some kind. That said, now, think about your circle of acquaintances. Do you like all of them? Probably not. And some you like more than others, right? When you’re in constant contact with someone whom you really don’t care for all that much, chances are that sooner or later, things are going to come to a head. Maybe that know-it-all mother-in-law points out one too many times that she wants grandchildren and your biological clock is ticking, and you go off on her and tell her to please, just for once, if it’s not too much trouble, mind her own business. Or Bob at work borrows your stapler one too many times without returning it, and you grab it off his desk after stapling every single piece of paper you can find about 100 times. Sometimes, even people you love can push you to your limits. Have you ever thrown every single pair of socks your significant other owns out onto the front lawn because he left the dirty ones on the bathroom floor, a foot away from the laundry hamper, for the bazillionth time? Screamed at your kid for some minor infraction that was heaped upon a whole lot of other minor infractions? Gone off on your ancient grandma because she’s fallen again and still refuses to use her walker? The point I’m trying to get at is that stress never happens in a vacuum. There’s always a trigger. If you love someone, it might take longer to trigger an outburst. If you’re not all that crazy about them to start with, the path to the outburst may be a fair bit shorter. And dogs are a lot like people in that they have those they love, those they merely tolerate, and those they can’t stand. I talked about this in Dog is Attacking Puppy. My friend Neila, the Rottweiler woman, had a world of trouble trying to get her female, Lucy, to accept Dallas, a new puppy. In the beginning, Lucy absolutely hated Dallas, and it took nothing to trigger her rage. For a while, Neila actually thought she might have to re-home Dallas. In the fullness of time, though, they worked out their issues. Lucy and Dallas are now fast friends, and it takes a lot to trigger Lucy. And I mean a lot. Dallas barks in her face, chews her ears, takes her toys, and generally does all those annoying things that young dogs do, and Lucy stays pretty cool because she loves Dallas. Once in a while, he pushes her too far, and she makes him submit, but generally things are good. When a dog is not overly partial to another dog, it takes much less to ratchet the stress level up to a dangerous level, and sometimes extreme measures are called for. In some cases, re-homing may be the only solution in order to avoid serious injury, or even death. To forestall aggression, whether it’s virtually instant or takes a while to develop, first you need to understand the stressors, identify the triggers, and remove them whenever possible. And then, finally, the fight happens. Now, in a nearly perfect world (as is now the case with Lucy and Dallas), things don’t get to the fighting stage. Lucy and Dallas sometimes have issues over toys, though. It usually plays out something like this: Lucy has the toy. Dallas wants it. Lucy figures that’s okay, and lets him have it. Sometimes, though, Lucy stares at him, and then Dallas accepts Lucy’s stare, stares back, and then changes his mind – the toy isn’t all that important. Or, Dallas really wants the toy, and postures a bit. Lucy growls at him, and Dallas decides he didn’t want the toy that badly after all. Alternatively, Dallas really, really, really wants the toy. He growls back. Lucy growls some more. A fight breaks out. Then, Dallas submits and Lucy keeps the toy. But what if Dallas were a bit more dominant? Neila has seen a few fights between Rottweilers, and she likens it to two homicidal maniacs, each holding a .44 Magnum, fully loaded, and with the safety off. It’s often about possession issues when dog fights occur, not necessarily just toys, but sometimes human attention, the best spot on the sofa or in front of the fire, or who gets to go out of the gate first when it’s time for a drive. There are also less obvious triggers. Just as an example, not all that long ago, Lucy had an infected ear, and Dallas accidentally bumped her at head level. Lucy went for him, and Neila had to break up a fight. Dallas had bumped Lucy probably 1,000 times before, but this time the trigger was pain. The most problematic triggers, though, relate to status. This occurs when you have more than one dog, and at least one of them refuses to defer to another. 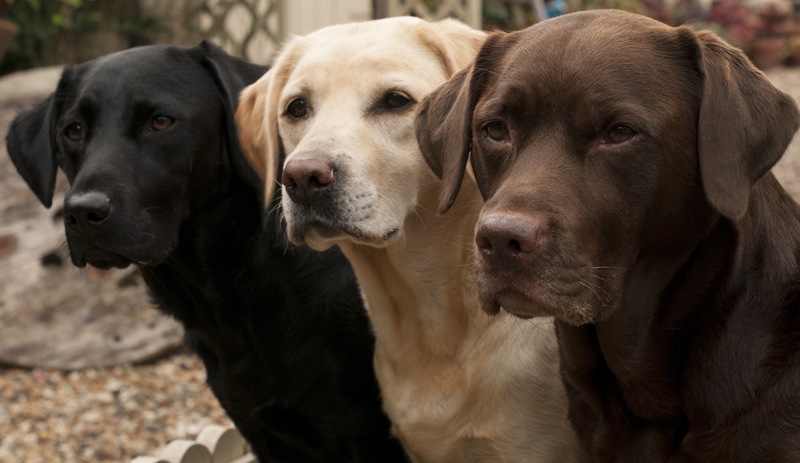 Don’t confuse status and dominance, though – this type of issue occurs with dogs that are more or less equal within the pack. A truly dominant dog is unlikely to fight, simply because he never has to. Once you know what’s triggering aggression, you can work to reduce conflict. This is something you absolutely have to do, because it’s not going to just magically work itself out. And once dogs become accustomed to fighting, the more likely they are to do it. Then, you end up with trips to the vet for your dogs, or even to the emergency department to have yourself treated. Triggers can usually be identified and dealt with fairly easily. If your dogs fight over treats, give them treats separately. If they fight over who gets to the car first for a drive, let them out of the house and into the vehicle one at a time. If toys are the issue, make sure there are a lot of toys to choose from. You get the idea. Stressors are different from triggers in that they can occur anywhere, and at any time, and it’s hardly ever just one thing that sends a dog over the edge into full-on aggression. Once you have identified the stressor, you need to condition your dog to react in a non-confrontational manner, or alternatively, minimize the stressor or eliminate it entirely if possible. If you can’t eliminate the stressor, you can decide to just live with it if it only causes minor conflict among your dogs; it’s your choice. Most of the time, though, you’ll want to work on behavior modification to reduce the likelihood of dog-on-dog aggression. Remember, too, that the more negatively you react to stress, the more likely your dogs are to react to it in an inappropriate manner. I actually know someone who dumped his girlfriend because she stressed out over the least little thing. His two dogs were fighting more than usual, and he finally saw a pattern. Whenever the girlfriend was at work, the dogs coexisted beautifully. When she was home, reacting badly to every little thing (in fact, he used to say that if the house was on fire or the toast burned, the reaction would be the same), the dogs were more likely to mix it up. Dogs will pick up on your stress, and your stress will become their stressor, so dial it back a notch if you’re prone to overreacting to every little thing. This is the first, and best, choice. And when you have two dogs who genuinely can’t stand one another, it’s definitely what you want to attempt first, before moving to options 2, 3, 4, or 5. What you want to do is basically change your dogs’ opinions of one another by means of CC&D – counter-conditioning and desensitization. You are, essentially, trying to turn a negative into a positive. You know I’m always recommending treats as the best way to get dogs to do what you want, and it’s no different when it comes to CC&D. So first, try to identify how close your dogs can reasonably be to one another without becoming aggressive. This is known as the “threshold distance,” and one dog may require more distance than the other. If this is the case, then, work with the level of separation that is most comfortable for the dog who needs more distance. You will need a helper for this, because you will be holding one dog on a leash while your partner holds the other on a leash at the proper distance. As soon as the dogs make eye contact, each of you should begin feeding treats to the dog you are controlling. After 15-30 seconds, have your assistant take his or her dog out of sight. Both of you should stop giving treats at this point. Then, again in 15-30 seconds, have your helper reappear, and resume feeding treats. Your dogs will eventually begin to look at either of you, expecting treats. When the dogs are looking at you and your helper, not at one another, close the distance a bit. Rinse and repeat. The idea here is that eventually you and your helper will be standing close together, each with a dog on a leash – a dog that is looking at the treat-giver, not the other dog. You might have to do this many times, but ultimately, the dogs will have little or no interest in each other – just in the treats. Now, add in some commands, like “Sit.” Again, the dogs are not focusing on one another, just on you and your partner, and what you want them to do in order to get a reward. Eventually, the dogs will become accustomed to being near one another, and the next step is to introduce movement. Go back to your starting points. Now, walk your dogs toward one another, keeping them at heel. Offer treats along the way, and especially when they pass one another. What you’re doing is teaching them that good things are going to happen when they’re close to one another. When they are okay with moving around one another, you can move on to activities like taking them for walks together, along with your partner, or for drives assuming that they are both seat-belted or crated to minimize the possibility of tension. Once you feel that they have progressed to the point where they can interact with one another, you will still have to watch for conflict. All it takes is one fight to undo your work, so remember, baby steps. In the early stages, you may also want to consider keeping the dogs muzzled. When working with behavior modification, it is very important to start at the first sign of trouble. As I stated before, the more accustomed your dogs become to fighting, the more likely they are to fight. What you’re essentially doing is de-programming, and it’s not going to happen overnight, but the earlier you start, the more likely your chances are of success. This is another way of teaching your dogs how to respond better to one another. Drs. Jesus Rosales-Ruis and Kellie Snider developed the concept of CAT (Constructional Aggression Treatment) in 2008 through 2009 at the University of North Texas. They proceeded from the observation that dogs use aggression to make other dogs go away. Teaching a dog to be calm, they theorized, would give the desired result, and the aggressive dog could actually become conditioned to be comfortable in the presence of the other dog. With this technique, you do not try to bring the dogs together. Instead, what you want to do is teach the submissive dog to move away from the aggressive dog. With this approach, food is not the reward – the reward is that the other dog is keeping his distance. Your helper moves the submissive dog away until the aggressive dog relaxes. Gradually, the distance is decreased. Personally, I think that the behavior modification approach is the better solution. With CAT, you’re beginning from a position of aggression and stress, and hoping that neither dog is fully prepared for battle. It requires a lot of physical strength in the case of large dogs, and could go bad very easily. I think it’s best to start from a position where aggression is unlikely to begin with, and then move toward positive reinforcement. If it seems as though we’re moving from bad to worse here, it’s probably because we are. When you think of “managing” a situation, you usually think of it as being something that you do when most, or all, other reasonable possibilities have been exhausted. There are still a couple of options available to you when it comes to dealing with intra-pack aggression, but trust me, they are even less desirable than this third one, which is to strictly manage your dogs’ environment. So, what is management? It means restructuring your dogs’ environment so that their dislike of one another isn’t going to get one, or both, of them injured or killed. That means that you might have to set up a “prison system”, using baby gates, fences, doors, tethers, and anything else that can keep them apart. It means taking them outside separately to do their business, feeding them in separate rooms, and generally keeping them as far apart from one another as you reasonably can. If it seems reasonably safe, sometimes, to have them in contact with one another, you will also have to make sure that you are alert to stressors. If they go nuts when the letter carrier arrives, for instance, you might move your mailbox away from the side of your house and down to the end of your driveway. If they lose it when people walk by, close your drapes. You can also make use of exercise in order to minimize tension – in short, work them, separately, to the point where they’re too tired to fight. Rigorous training can also help somewhat, since a dog that is taught to react in predictable ways to predictable situations is typically less stressed. You can also attempt to introduce relaxation into your dogs’ lives. Learn the techniques of canine massage, and maybe even think about aromatherapy as well. I’m not offering these up as alternatives to behavior modification, but they’re not going to do any harm. And if they actually do calm down an aggressive dog, everyone wins. Try soothing CDs as well – again, I’m not suggesting that this is going to work as an alternative to good training and desensitization, but a lot of people insist that dogs respond as well as humans to comforting music and sounds from nature. If you suspect that your dog’s aggression is due to anxiety, you might also try a thunder shirt. Again, it’s not an alternative to behavior modification, but it’s worth a try. Sometimes, you can get rid of stressors. Other times, if they’re just causing a bit of conflict but they’re not exactly going to be life-threatening, you can live with them. If you have two dogs that don’t seem to get along, then most of the time, behavioral modification will work. If you have more than two dogs, you’re running the risk of two or more ganging up on one. This might be manageable if you live with someone else who can pitch in when things get rough, but if it’s just you and a multi-dog pack, you could end up in big trouble trying to break up a fight. Most likely, someone is going to end up badly hurt – you, or one of your dogs. Harsh as it sounds, in cases like this, the needs of the many have to prevail. You may need to re-home the dog that is causing the problem if you are unable to correct it. The fact here is that everyone’s quality of life is being adversely affected – yours, and that of your dogs. Everyone is stressed out all the time. No one is happy. If you find yourself in this position, please resist the temptation to say, “Well, Doodles was here first, so he has to stay.” Doodles may well be the problem that can’t be corrected, and he may be the one who has to be re-homed. You have to consider the wellbeing and the quality of life for your entire pack (which includes you) and make the decision that is right for all concerned. Sometimes, re-homing (heartbreaking as it is) is the only sensible option. Some dogs simply do better in homes where they are the only dog. Before you consider re-homing, though, work on behavior modification. If you feel you’re out of your depth, you can always consult a professional trainer who has experience with aggression issues. You should also consider consulting a veterinarian before you make the decision to re-home. It doesn’t happen often, but in rare cases, there are organic causes for aggression in dogs, and sometimes they can be corrected with medication. I’ve saved the worst for last. No one who loves their dog ever wants to think about euthanizing him over behavioral issues. Sometimes, though, it’s the only thing you can do. If behavior modification hasn’t worked, other therapies have failed, medication isn’t the solution, and you’re not able to keep your dogs apart so that they don’t kill each other, I would assume that you would explore the possibility of re-homing. But what if you can’t find a home? Are you going to keep on living with the potential for, and the reality of, serious injuries and the possibility that one of your dogs could kill another? It’s a horrible decision to have to make, and one that I hope you never have to live with. But if you’ve done all that you can do, and there’s still a strong likelihood that keeping one dog you love is likely to result in the death of another that you love, euthanasia may be the only option. Will you have to live with grief, guilt, and constant regret? Yes. But sadly, the choice may only be between living with it now, and living with it later. Right now, I am relaxing on my sofa, wrapping up this entry on my laptop. Janice is on the sofa at my side, and Leroy is out in the kitchen with his big, adorable snout firmly buried in the dog food bowl. Later on, I’m going to find a movie on Netflix, and both of them will probably be snuggled up on the sofa on either side of me. If history is the greatest predictor of the future, we’ll most likely all fall asleep together before the movie is over. I’m so very, very glad that I’ve never had issues with these two. I’m not sure what I’d do if I ever had to choose between them. Try not to get to the point where you have to make a choice. Catch aggression issues early on, and work to correct them. My friend Neila is living proof that you can have many dogs in a household and have everyone get along. Sometimes it takes work, but it’s worth it.